The last few days have not been good for big government space. During the launch of a manned Soyuz capsule with two astronauts aboard, the upper stage of the Russian Soyuz rocket failed, forcing a launch abort whereby the capsule separated from the failed rocket, executed a ballistic re-entry (subjecting the astronauts to more than 7g’s), then released its parachutes to return to Earth. Fortunately, the abort systems worked and both astronauts landed safely. Why the upper stage failed, and how it will effect another Soyuz manned launch to the International Space Station scheduled for December, remains unknown. This is not Russians' first problem with their Soyuz rocket. In the past decade they have seen nine Soyuz launch failures, including six in the last four years. Although all previous failures involved unmanned missions as well as different variations of the rocket, the failures illustrate a continuing and systemic problem in Russia’s entire space industry. During these same ten years, they have also seen seven launch failures of their larger Proton rocket, previously used for commercial launches but now essentially out of business because SpaceX has taken the business from them. It seems therefore that we were very lucky with this launch failure. The Russian space industry is run entirely by their government, centralized under the control of their space agency, Roscosmos. Thus, it is not surprising they have had problems, as all business decisions are based not on competition and producing a better product, but on the political clout wielded by any specific design agency within Roscosmos. Russia is not alone in the failure of its big government space program, however. NASA’s inspector general has released an audit slamming the bad management at both NASA and Boeing in their effort to build the Space Launch System (SLS), a Saturn 5-type rocket mandated by Congress and being built by NASA to be used for its future deep space missions. The report found that Boeing’s spending to build SLS has doubled from $4 billion to $8 billion, even as the first unmanned launch of SLS has repeatedly slipped from its initial launch date of June 2017 to no earlier than 2021, and probably later than that. The report also found the management at both NASA and Boeing was a chaotic mess. Several NASA contract officials repeatedly exceeded their legal authority to enter “into negotiations or contractual obligations with companies that far exceeded the limits of their warrants.” NASA also did not monitor Boeing’s budget properly, and was too lenient in assessing its work. Boeing’s management repeatedly underestimated the time and cost needed to complete its work. The work itself was sometimes shoddy. For example, a giant welding machine had to be rebuilt after completion because it had been built incorrectly. Later it was found that many of the welds produced were below the design specifications because a welding tool had malfunctioned and no one had noticed. Other problems have included a dropped tank and a leaning mobile launcher. Nor is this audit a surprise. Numerous GAO and inspector general reports during the past five years have repeatedly lambasted the management of SLS. It appears however that NASA has done little at any time to fix these problems. Thus the failures, cost overruns, and delays continue to mount up. Worse, SLS is really a reworking of the Constellation system first proposed by President George Bush in 2004. If we include all the appropriations Congress has allocated yearly since then for this project, we find that NASA has already spent more than $20 billion for SLS/Constellation, and will likely spend almost as much in the next six years, leading up to the hoped for first manned launch of SLS in 2024. That’s approximately $40 billion over 20 years to launch a single manned mission, in an Apollo-style capsule on a Saturn-type rocket, reusing (supposedly to save money) already built shuttle engines and upgraded shuttle solid rocket boosters. I repeat: It will take NASA more than 20 years and $40 billion to fly one manned mission on SLS. And that’s not including the almost $18 billion NASA will spend to build the Orion capsule that will fly on that mission. Does no one in Congress and in the Trump administration see anything wrong here? The story gets worse. In September, NASA released what it has dubbed its “National Space Exploration Campaign Report,” a 21-page document outlining the agency’s plans for deep space exploration through 2030, using SLS and Orion as well as a new NASA boondoggle to be built in lunar orbit, dubbed the Gateway. To label this road map a joke would be an insult to comedians everywhere. It lays out deadlines and budgets that are so vague and ambiguous that the project could take a half century, cost a trillion, and still have never launched. The worse part of this sad story is that it appears Congress and the Trump administration are buying into it, pushed partly by heavy lobbying by the big space companies -- Boeing, Lockheed Martin, Northrop Grumman -- that hope to get the contracts to build it. It must be understood, however, that the companies advocating Gateway and all future big space projects using SLS and Orion don’t really care if anything ever actually gets built. Like SLS and Orion, what they really want is endless appropriations and cost-plus contracts that will funnel money to them endlessly, even as the launch dates of their projects recede forever into the future. Nor are Congress and the bureaucracies in NASA and the executive branch interested in accomplishing anything. All Congress wants is to be able to claim they brought jobs to their districts and states, even if those jobs never accomplish anything at all and waste the taxpayers’ money. The bureaucrats merely want to perpetuate their jobs, building empires in fancy Washington offices while attending lots of conferences on the taxpayers’s dime. None of them care about the national interest. Their goal is to line their pockets, regardless of the harm it does the United States. This must change. If Trump truly wants to empty the swamp, he has to stop funding such boondoggles. This does not mean that Americans should cede the future exploration of space to China and others, but we can clearly do this in a better and smarter way. SpaceX in the past decade has demonstrated that a better way does exist. In only a decade it conceived, designed, built, and launched its Falcon 9 rocket, both its cargo and manned Dragon capsules. It then topped this all off with its Falcon Heavy rocket, first launched in February and costing only about $500 million to develop. Almost as powerful as SLS, it took SpaceX only about seven years to go from its concept to launch. Why pay $40 billion for an SLS rocket that still won’t launch for years, if ever, when NASA could buy 400 Falcon Heavy launches for the same price, and fly them right now? The key is freedom and private enterprise. The government should stop funding bad projects. It should instead figure out what it wants to do, but only do it using already available assets in the private sector. Stop funding the development of rockets, space ships, and space stations. Let the private sector do it, then buy those things from them. This will force them to do it efficiently and quickly, because they will know they won’t get any money otherwise. For example, although it is true that SpaceX has, like Boeing, received a lot of government money, its contracts with NASA were almost all awarded after SpaceX had completed most of the development of both its Falcon 9 rocket and its Dragon capsule. With the Falcon Heavy, SpaceX took no government money at all. The results were more cost-effective rockets and spacecraft, built much more quickly. More importantly, by doing it that way the private sector would then be designing these rockets, ships, and stations to sell not just to the government, but to many other customers. 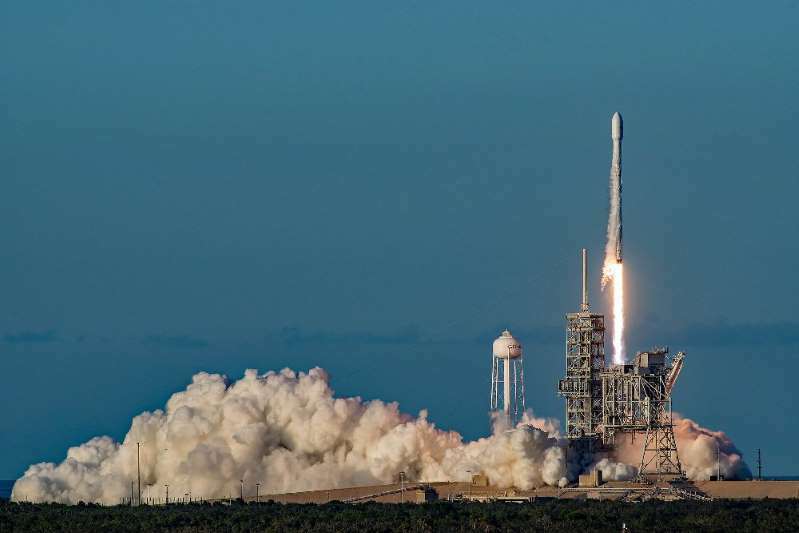 SpaceX, for example, is selling its Falcon Heavy to both the Air Force and to private satellite companies because it does not cost that much to buy a rocket launch. Future rocket, ship, and station companies could do the same, building these assets at prices that many can afford. Not only would the government get more bang for the buck, but we would also see a renaissance in the American space industry. This is how America was built -- with competition, freedom, and private enterprise. It is time we once again adhered to that philosophy in space. Otherwise, we are going to continue to see vast amounts of money wasted at NASA, with little to show for it. We might also see the death of astronauts, as we almost saw this week, from depending on a big, Soviet-style government project that is poorly run and sloppily built.